It is rugby rivalry day again at the C B Jennings Dale A field known as the “Graveyard” on Saturday. Can anyone forget that humdinger of a game in King at Reunion that meant so much to the returning class of 1964 for their 50th reunion after leaving school. The game was attended by many of that Dale First XV of 1964. Dale were leading 12 point to 11 and going into the final minute. Both teams had played their hearts out. Queen’s in a dramatic fight back and great defence to keep Dale out of scoring. The tables were turned with Queen’s sweeping up field towards the Albert Road end of the field A pass at the right time saw Queen’s scamper over then try line to score. The first game against Queens in 2015 in Queenstown was won by Dale who overcame finding them selves down by 12 points in a short time of play. A great game of rugby at the Rec in Queenstown saw Dale eventually dominate and to win by 29 points to 19 points. Can Dale Captain Mgubo and Coach Grant Griffith and his “brain’s trust” coaching staff pull off the Double this year? Queen’s having come off a good win this last week against Cambridge will be raring to go. 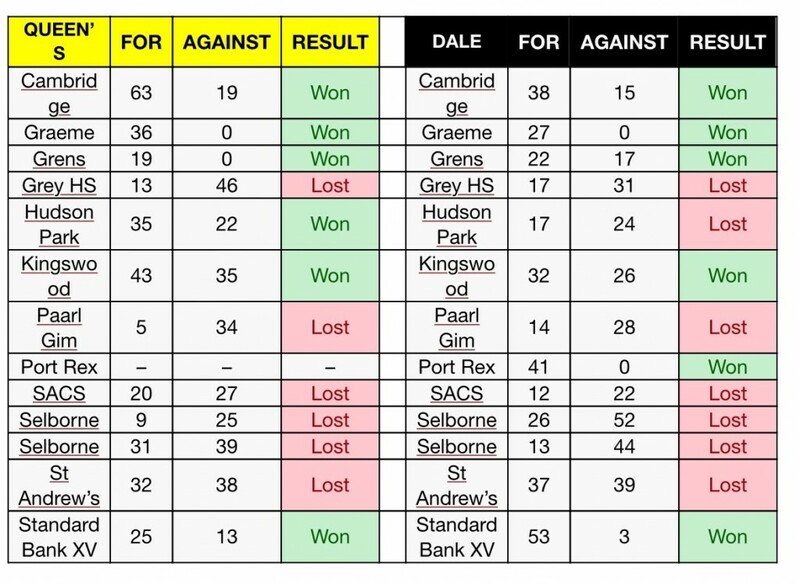 Dale having lost to Hudson Park will have to dig deep and bring out the will to win attitude to finish the season on a respectable note. No rugby game between Dale and Queens College can ever have a predicted outcome. Both schools play the game of rugby with a passion that is reserved for only the best. Every game between these great schools promises to be another epic rugby battle between two sides that will do the game of rugby proud. The spirit in which Dale and Queens play their rugby and the continued rivalry is a tribute to all those great schoolboy rugby players who have represented both Dale and Queens First Rugby teams. We can certainly say without contradiction that is the spirit of Rugby between these two great Border and South African Schools from that first game in 1891 right up to and including 2015. The bonds of sportsmanship and jealous rivalry on the sports fields must be preserved at all costs. No matter the result on the day we wish both teams and their coaches good fortune and that sportsmanship and rugby will also be the ultimate winners. We wish all teams and players a great feast of rugby. To every one travelling to the games – please travel safely! 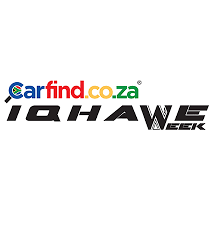 How did the friendship between the Kudu and Heron Start. “Rugby is a rough game, badly played in King William’s Town. The Right Reverend’s views were obviously never taken seriously by the King public. The first recorded rugby match played by Dale College took place on the 31 July 1880 against the adult Ever Ready Rugby Club of King William’s Town. The match was played on the Cricket Ground between Past and Present Dale College and the Ever Ready Club team. The Collegians having won the toss, elected to defend the lower goal and the Ever Readies claiming the ball kicked off at 3:35 p.m. The match eventually ended in favour of the Ever Readies and was well contested by the Dale Collegians who, though playing with fourteen men, compelled the Ever Readies to touch the ball down twice in self-defence! It was only in 1923 that new sports fields further up the road and on the outskirts of the town were completed. The completion and levelling of the fields was thanks to the hard labour of the Dalians of that era! The Sports Pavilion still in use today was opened by Senator Franz Ginsberg on the 15 November 1930. On Friday the 3 April 1891 a meeting was held of the Dale College Football Club to elect Office-bearers for the coming season and to “fix” a committee. Those elected to Office were: N.Hodgson -Captain, G.Tennant – Vice Captain C. Weir – Hon. Secretary and E. Solomon. Their goal was to formalise the playing of ruby at Dale College, to arrange fixtures against both adult teams of the town, and to establish contact with other regional rugby playing schools. Their efforts were not in vain, as they firstly established contact with the Queenstown Public School (later to become Queens College) in Queenstown. Amid great excitement, a Dale College Rugby Football team left King William’s Town for Queenstown to officially play a match against the Queenstown Public School. On arrival in Queenstown, a member of their Football Club hospitably received the Dale team. The Dale College team had the run of the Masonic Hotel, where they were entertained at a dinner hosted by the Committee of the Queenstown Public High School. After a wonderful evening enjoyed by all the stage was set for the first official rugby game to be played at schoolboy level by Dale College. This very important rugby match between these two great schools commenced shortly after 4:00 pm on the afternoon of the 30 August 1891. The result of this match was a resounding win for Dale College. The recorded score was 5 goals, 4 tries to 1 goal for the Public School – Queens College. History does not record, unfortunately, as what played an important part in the preparations for this fine win away from home. Was it the wonderful dinner and refreshments interspersed with oratory of the highest order where the Dale team had the better of the opponents, or perhaps an early “to bed” night and curfew? We can always speculate but those of us who know the culture of both Dale College and Queen’s College and based on schoolboy and Old Boy reminisces we will always speculate? Thus began the history of Dale College rugby against Queens College. 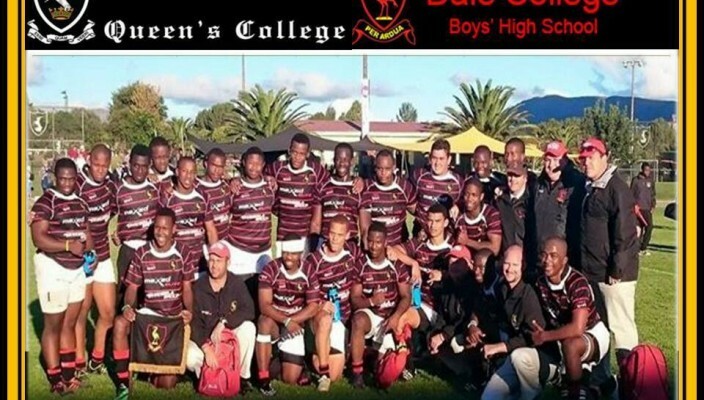 This important rugby game is recorded as the first at schoolboy level for Dale College and established Queen’s as Dale’s oldest schoolboy rivals. This rivalry is still jealously guarded by all Dalians, Queenians and Old Boys of both schools. Dale College and Queens College have never had reason to ever consider any breaking off of rugby playing relations against each other and regardless of any tensions on or off the playing fields. This is a testimony to the memory of all past pupils of both schools where winning is important but more importantly rugby has always been the winner. As we approach the 175th game at First Team level we are mindful of the history of sporting and rugby contacts between Dale and Queens and reaching this milestone is as important today as it was in 1891 before that first ever game in Queenstown. After this first game in 1891(Won by Dale by 19 points to 3 points) the next game was only played in 1926 at home in King Williams Town. Dale lost this game by 6 points to nil. The reason for the delay in resuming rugby between these two schools is that soccer was established as the main winter sport alongside cricket for summer at Queen’s whilst at Dale rugby was officially recognised as a sport in 1910. The rules laid down by the Dale Headmaster – Rev J G Sutton were that association football was to also be played alongside Rugby Football. The second Dalian initiative – precursor to the establishment of Dale Rugby! During the 1906 group of STD 4 boys held a meeting in their classroom after school on a Saturday morning. The purpose of the meeting was to endeavour to start rugby for the amusement of the small boys who had nothing to do on Saturday mornings. Humble beginnings to what are Derby Day Rugby fixtures! It must also be remembered that rugby was not only frowned upon but also strictly forbidden by dear, popular Rev JG Sutton the headmaster of Dale. In spite of many canings administered by the Headmaster and the confiscation of rugby balls, the game of rugby continued to be played. Up to 1909 the rugby team of Dale College played under the name of the Shamrocks in a bid to offset the influence of soccer and to camouflage the playing of the game of rugby at Dale. Finally, in 1910, The Dale College Rugby Football Club was founded and the Shamrocks became the Dale College Rugby Team. Association football – soccer – was permitted to be played alongside Rugby and was not discontinued. Dale College Rugby Football Club! By 1911, Dalians who had played rugby in the Shamrocks’ navy and black jersey, with its green band and shamrock-leaf breast badge, could proudly and officially wear the school’s black jersey banded by narrow red hoops and having the Dale badge. The distinctive Dale colours have remained the same ever since. The 1910 College magazine records as follows: “This season the ‘Shamrocks’ of last year play under the auspices of the Dale College Games Club” There have been many close games of rugby between Dale and Queens throughout there rugby playing history. The highest score that has been recorded for a match between Dale and Queens at a Dale reunion is the 64 points to 0 point’s victory scored by Dale at an Old Dalian Reunion celebration in King Williams Town in 1927. (Mr Wood was the Dale linesman!) In this game Dale scored 47 points against Queens in the second half. Dale, 50-5 in Queenstown, won the return game. Rugby between these two great schools always provides the enthusiast with a hard fought rugby game in which no prisoners are taken. There have been only 4 seasons in the rugby history where Dale and Queens have only me each other once in a season. An extraordinary season was 1938 when Dale and Queens met each other three times during the season with Dale winning all three games, 6-3 and 13-8 at home and the Queenstown encounter 9-5. Perhaps it is fitting to recall a drawn game between these two sides, the score being 14-14 at the final whistle. This game against Queens was played at the Victoria Grounds in King Williams Town in 1964. Those students of schoolboy rugby and Dale rugby in particular will recognise that this side was Dale’s third unbeaten rugby First XV. The coach was legendary Headmaster, Russell Walter Searle. The nail biting, chain-smoking tension of it all was just about unbearable for supporters and scholars of both schools. A winner of six games in a row, Charlie Pope’s team, was down 3-14 before the three try fight-back brought Dale back from the brink of defeat. Failure by Pope to convert the last gasp touchdown under the posts denied Dale College of one of its greatest victories against Queens College but left it with perhaps its greatest draw.